Habitual thoughts will always drive your emotional states. The quality of your emotions will determine how effective your action is. Your action will ultimately create results or keep you stuck. The fact you’re here means you are dead serious about growing your business to 7 Figures and being an example for your team. But if you’re like most business owners, no matter how much mindset work you study, at some level you know your fear, doubt, and frustration is holding you back from reaching your commercial goals and making a meaningful difference. You and I both know that your psychology is 80% of your success. So why do so many business owners get it wrong? Well, many mindset coaches and motivational speakers will teach you that you should feel happier and have more positive thoughts more often. I believe that’s where the problem begins. Whether you notice it now or not, when you look to shift your mind to be more positive, you are actually avoiding the emotion you are trying to change. This is where the problem begins. The entrepreneurial journey brings with it many uncomfortable emotions such as stress, fear, embarrassment, frustration or even anger. What do you do when these emotions come up? Do you avoid feeling them by trying to change your mindset right away or maybe stay inside a comfort zone? (procrastination, hesitation, and indecision). Do you think something is wrong and must be changed? (beating yourself up, feeling you’re not worthy or good enough). Or maybe you feel the emotion and allow it to dictate your decisions and actions? (Overwhelm, doubt, fear, frustration). If any of these options resonates with you, you have probably felt the emotion grow over time and surface when you least suspect it. That’s because the strategies above cause the emotion to grow unconsciously within you. Not only does it take your energy to push this emotion down, but having this vibration resonate within you simply doesn’t allow you to network, sell and collaborate and innovate with the effectiveness necessary for your business to breakthrough. Can you now see why many business owners get stuck? Well, where is the solution? Emotional fitness is NOT about feeling happier and motivated all of the time, as you have probably been taught. It’s having a deeper understanding of authentically feeling ALL the variety of emotion that come our way as entrepreneurs. This is where your TRUE power lies. Once you learn how to fully feel and process both positive and negative emotions in your life, you remove the tension, stress, and internal conflict within you. You set the stage to then master your mindset and access the confidence and certainty necessary to reach your commercial goals and create a meaningful difference. Instead of being stuck in your patterns, download the info graph that will walk you through the mental steps to solve ANY business challenge. 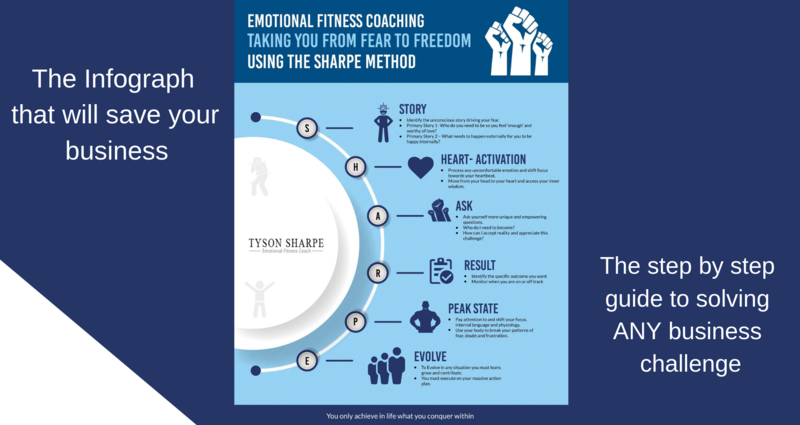 Master your fear and increase true emotional fitness with this free mini-course. 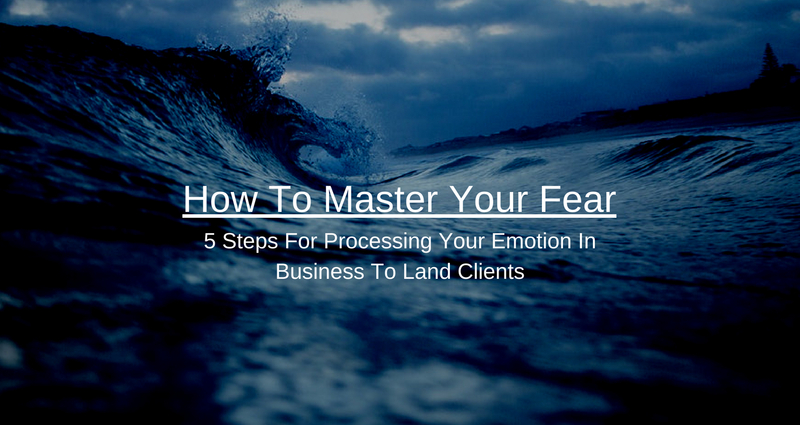 Learn the secret to absolute confidence so you can prospect and land clients in your business. If you are starting to realise the answers you seek lie in both business strategy and your shifted mindset, click below and apply for a free strategy session with me.